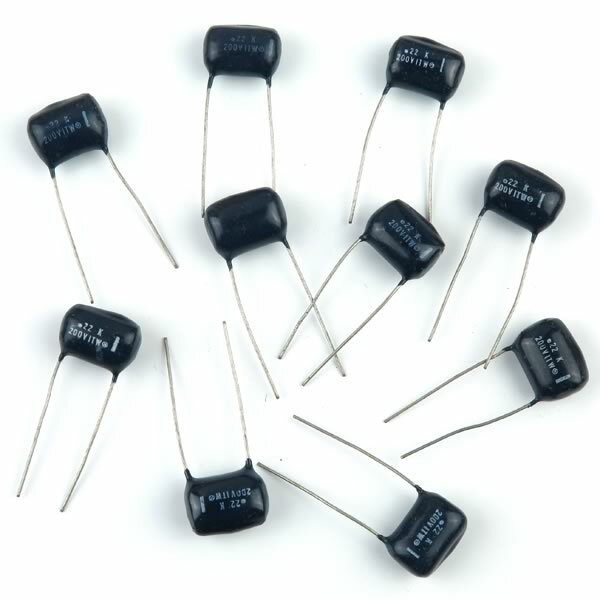 Radial film capacitor rated 0.22uF @ 200V is 0.80" x 0.56" x 0.48" thick. Has long radial leads. Sold in a package of 10.